Be a gate opens in Northern Taiwan, our location in the center of the Asia-Pacific region makes TPCT an ideal geographic hub for worldwide transport and logistics. Geographically, Taiwan finds itself at the very center of the economies of the Asia-Pacific region. To the west lies the world’s second largest economy, China, and to the north Japan. The world’s biggest economy, the United States of America, is located in the east of Taiwan, and to the south the member states of ASEAN and India. 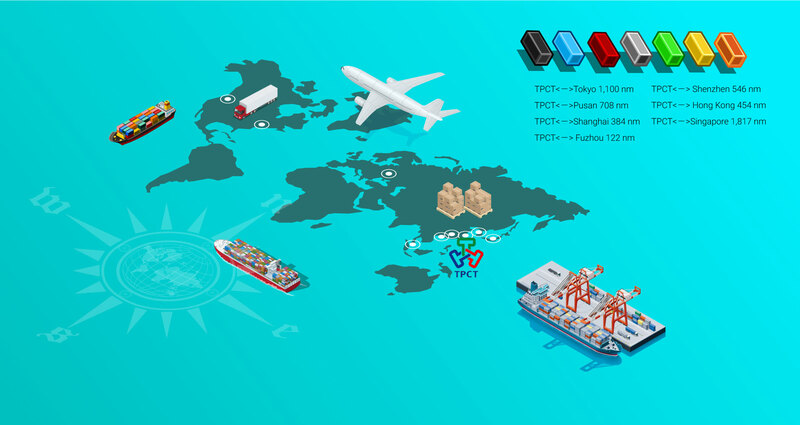 TPCT connects with major international container lines and has enormous development potential for global planning and management.